Once everyone in the group had mastered moving in a straight line, we then moved on to changing direction. Our task was to make right and left turns with the aim of eventually linking them up into fluid movements as we travelled down the slope. Sounds easy, doesn't it? It's surprisingly much more of a challenge than it looks! Keeping your balance and maintaining a steady pace whilst trying to get the turns in was definitely a test of everyone's abilities but all of us in the group had nailed it by the end of the lesson - even me! Part of our training also included learning how to use the ski lift. Again, it sounds pretty easy, all we had to do was step on to the mini escalator at the side of the slope and then step off again in the right place. But you would not believe how many tumbles this very simple procedure caused! At one point I got off the lift with a little too much speed and ended up sliding through the legs of another skier from our group, nearly knocking him flying. Oops. Embarrassing moments aside, I had an absolutely brilliant time during my skiing lesson! I won't lie, when we first stepped out onto the snow and saw the slope, I was incredibly nervous about hurtling down at a hundred miles an hour and crashing into a heap at the bottom, but I needn't have worried. Each of us in the class received plenty of one-on-one help and tips from Wilf, as the lesson size was small. The eight of us had a great cameraderie together by the end; our three-hour lesson flew by! In addition to this, the snow at Snozone was great quality, meaning that it was much easier to ski on than a dry ski slope which I'd been on once before. One thing that definitely surprised me about skiing was what an incredible workout it gives. Although I have been getting fitter in 2018 thanks to my New Years goals, boy did I ache the next day! BUPA's calorie calculator reveals that moderate downhill skiing burns, on average, 400 calories an hour. If you opt for cross-country skiing, you're in for an even better workout, as going uphill will apparently burn 1,000 calories per hour! Other health benefits include boosting core strength and improving the condition of bones and joints, making skiing a fab alternative to the gym or more traditional sports. 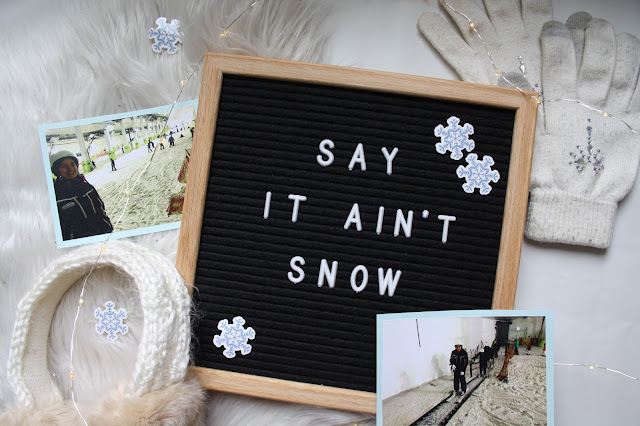 With the weather *hopefully* now taking a turn for the finer side, going skiing may not be the first thing on your mind, but in fact, hitting the Snozone slopes during the good weather is the best time as it's much quieter in the warmer months. Snozone Milton Keynes is also open 364 days a year (only closing on Christmas Day), so you've got no excuse for copping out of your exercise! 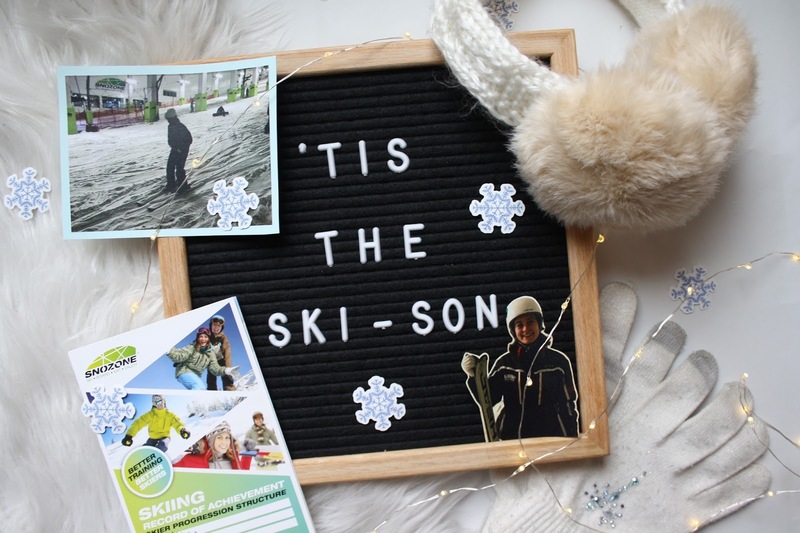 Lessons such as the ones that I tried out are ideal for newcomers to the sport, since all the necessary kit like the waterproof clothing, skis and helmets (with the exception of gloves) are available to hire at the venue. This means that you're able to give skiing a try without making a costly investment in the equipment. 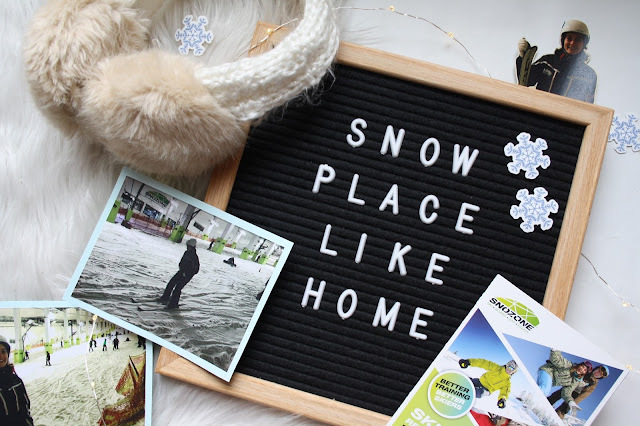 Based on my experience, I'd highly recommend sampling snowsport and seeing what it could offer you! I might not be the next Chemmy Alcott but I had a whale of a time! Have you ever given snowsports a go? If not, which would you most like to try your hand at? Let me know in the comments! *My skiing lesson at Snozone was provided free of charge in exchange for a blog post review.